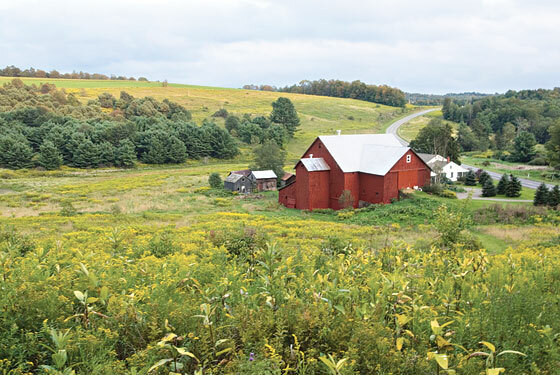 The Catskills market has been buoyed as the city buys land to preserve its watershed, explains Eric Wedemeyer of Coldwell Banker Timberland. But village homes in Delhi, Stamford, and Walton are still underpriced for the region, as many lack the views and privacy weekenders crave. Also, consider Fleischmanns (pop. 335), an old resort town that will likely get more desirable after the nearby Bellayre ski center gets redone. In Sullivan County, says broker David Knudsen, the bargain properties are the ones that lack quaintness: ranch houses, say, or those with vinyl siding. Fairfield County, home to New Canaan and Westport, is the place to look. Year-to-date sales are off 41 percent over 2008, according to the Warren Group. But there and in Litchfield County, most of what’s going on is nothing: Buyers and sellers aren’t meeting in the middle. “There’s a stalemate,” says Klemm Real Estate’s Rebecca Ward. She suggests making almost any offer—“No one else is”—to jump-start negotiations. Go a bit inland, and you’ll find areas where demand has fallen most. Neptune City, for example, is two miles from Bradley Beach, and a three-bedroom there is $319,000, about half what it would cost in Bradley. If you do want to be on the water, condos are a better deal than houses now—“in a bad market, they’re always the toughest to sell,” says Avon Realty’s Bob McDevitt. According to real-estate lawyer Edward McCormick, spec houses outside Great Barrington, in Alford and Egremont, are going unsold at $1 million to $3 million, and their builders may take offers. If you’re looking for something more modest, consider building your own house. Land prices have sunk, and tradesmen here are begging for work. Here, it’s $1 million–plus houses that are seeing deep price cuts. Corcoran’s Sheri Winter Clarry has a client, a builder, whose price has gradually fallen from $2.85 million to $1.52 million. (He cuts the price by $5,000 every Wednesday.) The market for smaller houses here isn’t so bargain-friendly, because the area draws budget-minded folks who are still competing over these properties. Houses that are “more turnkey” go faster, so look for a fixer-upper.